The Brighton Conference in 1975 was devoted to an examination of some of the problems arising from the re-organisation of teacher education in a period of economic stringency and widespread cuts in education. The book is divided into four sections. The first considers the structural changes resulting from mergers and changing institutional roles. The second considers the changing curriculum; the third consists of discussion papers by three principals of colleges of higher education and the fourth section summarises discussions and seeks to identify some future trends in teacher education. Foreword M St J Raggett and M W Clarkson. Introduction Norman Mackenzie. The Changing Structures. The Re-Organisation of the Colleges of Education: A Critical Overview. David Hencke. Aspects of Institutional change James Porter. Universities and Colleges Alec Ross. The Changing Curriculum. Principles and Practice of Validation Edwin Kerr. Curriculum Development in Higher Education Anthony Beecher. Modular Course Structures in Higher Education Kenneth Gardner. Discussion Papers. The Challenge of Change William Percival. Searching for a New Identity Norman Evans. Four Major Issues Bernard Fisher. Conclusions. The Major Issues: A Summary of Discussion Reports. M St J Raggett and M W Clarkson. The Future of Teacher Training Roger Webster. New Patterns M St J Raggett and M W Clarkson. 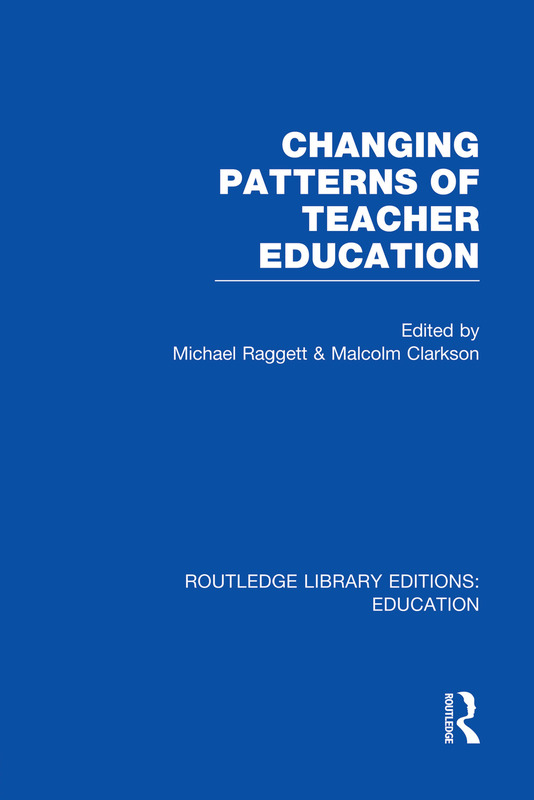 Routledge Library Editions: Education consists of 244 volumes by some of the greatest educationalists, teaching professionals and policy makers of the twentieth century. The volumes are available in a set; in mini-sets themed by sub-discipline; or individually, in your choice of print or ebook.